The Gstaad brand today is synonymous with stylish charm and discreet understated luxury, which Gstaad's famous royal guests and visitors from the worlds of film, art, sport and science have come to appreciate. 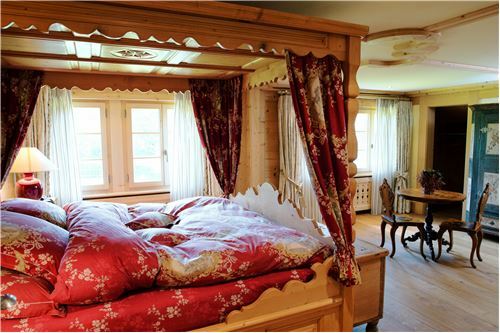 Yet despite its style and class, Gstaad has remained genuinely Alpine and down-to-earth. It is proud of its tradition and lives and breathes it every day. 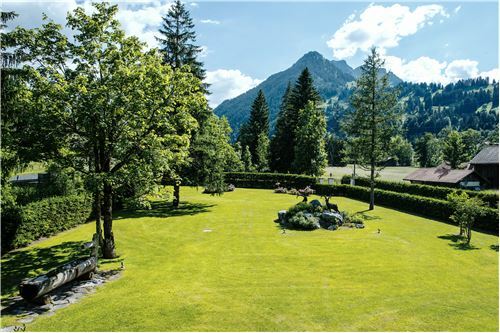 Gstaad has 200 farms, 80 of which still use Alpine pastures and around 7000 cows in the region. At the same time, a range of diverse leisure amenities deliver first-class leisure and recreation in summer and in winter. Over a thousand cultural and sporting events are available to visitors every year, including top events with an international reputation. In addition, visitors will find first-class hotels, outstanding shopping facilities along the traffic-free promenade and an airport in Saanen. 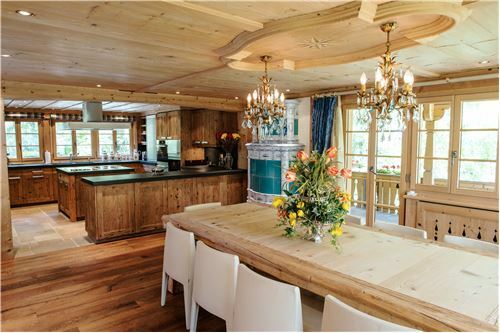 The chalet is situated a few meters outside of Gstaad. Among others amenities, the cross-country skiing, many walking and hiking trails and the famous ski slopes "Wispile" and "Eggli" are in the near surrounding of the chalet. Luxury interior, spacious rooms and big garden. 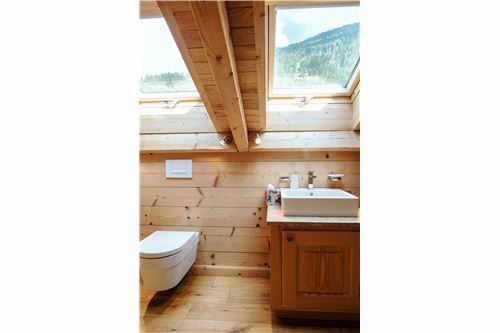 This is the short description of this beautiful refurbished built chalet. One apartment is situated on the ground floor and offers two bedrooms with en suite bathrooms, open space with dining, living and kitchenette. The perfect space for staff or guests. The open space on the first floor with kitchen, dining and living room is equipped with well placed details. 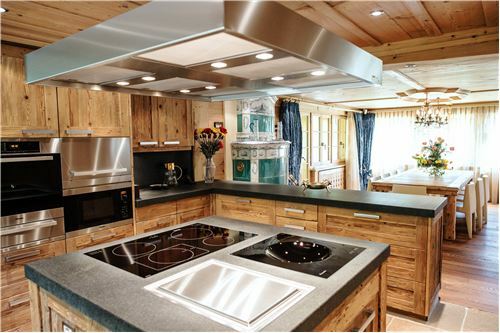 The traditional oven, the chimney as well as the handmade dining table give a warm and cozy atmosphere. An office space is also located on this floor. 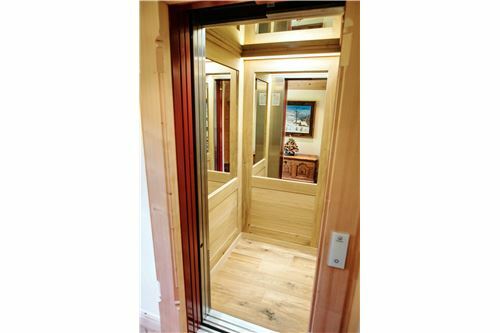 An elevator or a staircase lead to the top floor, where you find the three bedrooms. The master bedroom consists of a bathroom with bathtub and a separate toilet. As well, there are two en suite wardrobes for him and her. The two other bedrooms are with en-suite bathrooms as well. The whole attic floor can be used as a storage room, play or TV room. Another plus of this property is the spacious garden, of which was taken very good care. 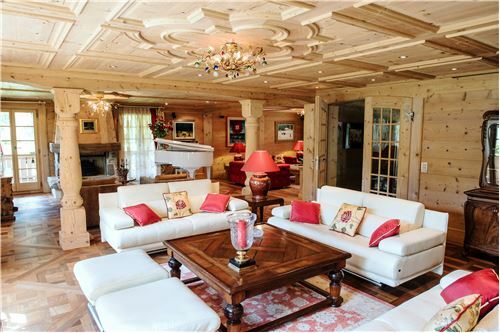 The short distance to Gstaad center is very convenient and makes this property also very attractive. Outside, there are three garage spaces and four parking lots. On the ground floor is a spacious room, which is being used for a car collection of 8 cars. It can be converted into a play room, home cinema or a SPA with swimming pool. Another idea is, to enlarge the existing ground floor apartment. 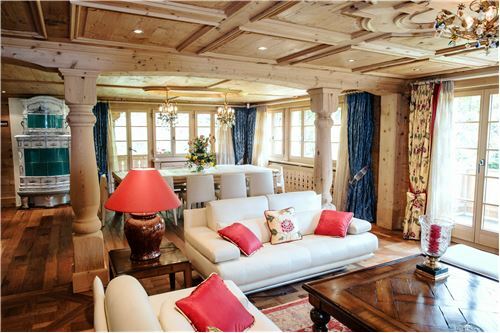 Prestige meets Alpine Authenticity The Gstaad brand today is synonymous with stylish charm and discreet understated luxury, which Gstaad's famous royal guests and visitors from the worlds of film, art, sport and science have come to appreciate. 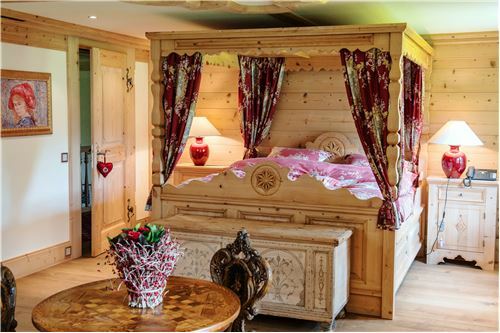 Yet despite its style and class, Gstaad has remained genuinely Alpine and down-to-earth. It is proud of its tradition and lives and breathes it every day. 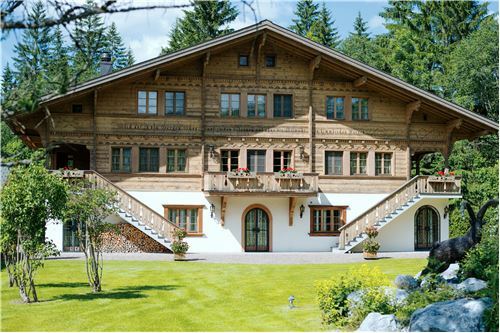 Gstaad has 200 farms, 80 of which still use Alpine pastures and around 7000 cows in the region. At the same time, a range of diverse leisure amenities deliver first-class leisure and recreation in summer and in winter. Over a thousand cultural and sporting events are available to visitors every year, including top events with an international reputation. In addition, visitors will find first-class hotels, outstanding shopping facilities along the traffic-free promenade and an airport in Saanen. 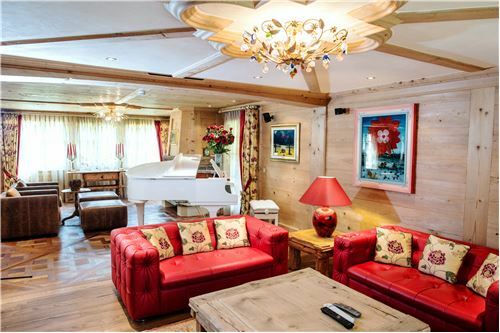 This and much more information you will find on www.gstaad.ch The chalet is situated a few meters outside of Gstaad. Among others amenities, the cross-country skiing, many walking and hiking trails and the famous ski slopes "Wispile" and "Eggli" are in the near surrounding of the chalet. The Villa Luxury interior, spacious rooms and big garden. 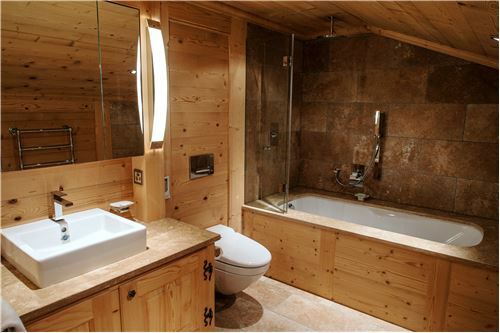 This is the short description of this beautiful refurbished built chalet. One apartment is situated on the ground floor and offers two bedrooms with en suite bathrooms, open space with dining, living and kitchenette. The perfect space for staff or guests. The open space on the first floor with kitchen, dining and living room is equipped with well placed details. 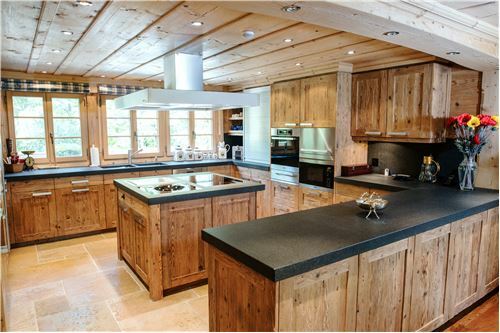 The traditional oven, the chimney as well as the handmade dining table give a warm and cozy atmosphere. An office space is also located on this floor. 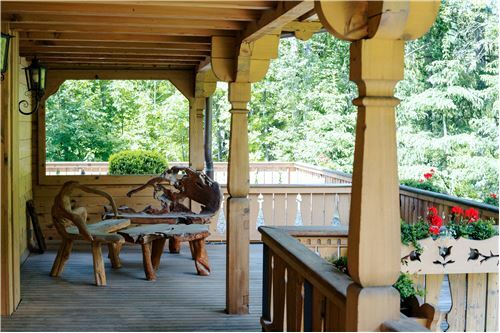 An elevator or a staircase lead to the top floor, where you find the three bedrooms. The master bedroom consists of a bathroom with bathtub and a separate toilet. As well, there are two en suite wardrobes for him and her. The two other bedrooms are with en-suite bathrooms as well. The whole attic floor can be used as a storage room, play or TV room. Another plus of this property is the spacious garden, of which was taken very good care. 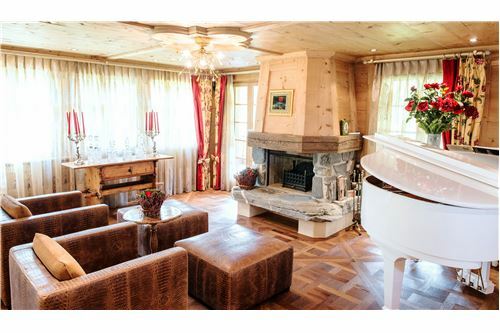 The short distance to Gstaad center is very convenient and makes this property also very attractive. Outside, there are three garage spaces and four parking lots. 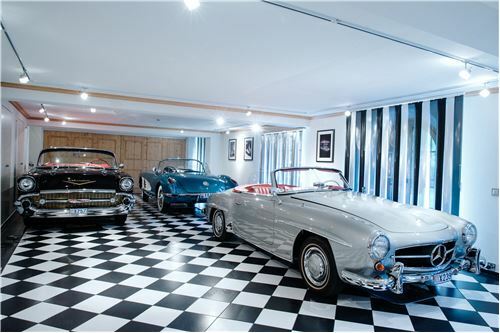 On the ground floor is a spacious room, which is being used for a car collection of 8 cars. It can be converted into a play room, home cinema or a SPA with swimming pool. Another idea is, to enlarge the existing ground floor apartment.